Now sanctioned and staged by the new CCS – Canadian Cue Sport Association, the 3rd Annual Western Canadian 8 Ball Championships were held Jun 9 – 12th, 2005 at the Acadia Recreation Centre in Calgary, Alberta. Unusual for June and Calgary, it rained and rained. It wasn't good outside but inside the Players and Teams by all accounts had a great time. 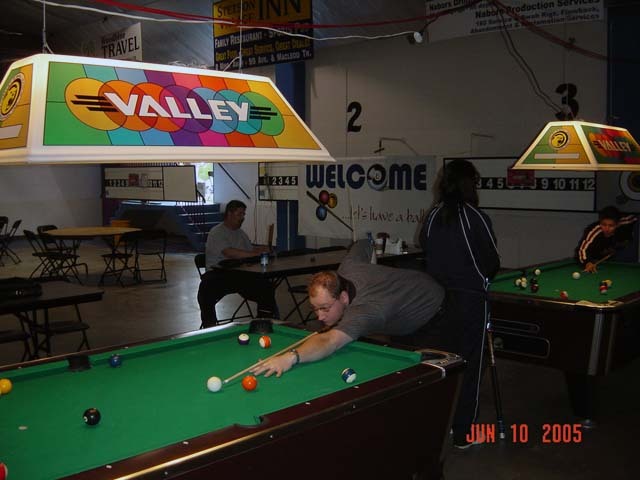 This Year's Championships were extremely well supported by the participating Leagues, particularly from Prince George (Nicholson Billiards), Fort McMurray (Rook Billiards), Vancouver Island (VIPL) and the Vancouver area (Breakers and North Fraser). 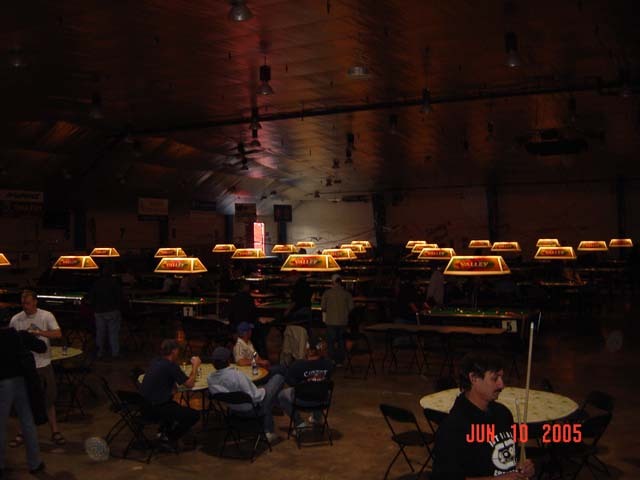 There was good representation from across Western Canada, the Event Site worked great, we had Table Lights once again, solid Tournament Direction and probably the best ever Referee Crew. 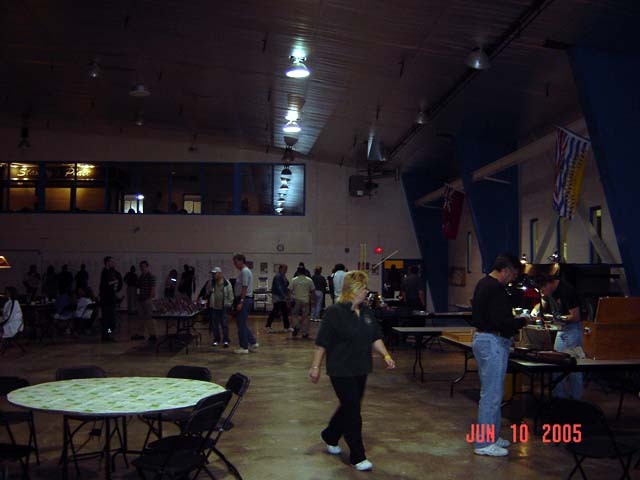 It was fun, it was exciting and all prospects point to a even bigger turn out next year at the 4th Annual in Calgary, April 27 – 30th, 2006. Singles and Team Play were divisionalized into A – Advanced, B – Open and C – Standard Finals Groups, with Cash Prizes and Awards in each, after completion of preliminary double knockout brackets. 'CA' Ranked Players and Teams were seeded into the A - Advanced Finals with all Preliminary Bracket Winners receiving an extra Cash Prize. In the Mens A – Advanced Singles Event, Kevin Osborn (Calgary), having lost his very first match to Garey Kirkland (Calgary), marched all the way to the Finals and the Title by wins over Barry Hooey (Calgary), Ron Scholton (Prince George), Leslie Thomas (Prince George), Steve Cherewyk – former National Champion (Calgary), Mike Harry (Mill Bay), Dave Martin – reigning National Champion (Calgary), PJ Massicotte (Calgary) and finally Danny Gilbert (Calgary) in two sets. That's a lot of pool and determination! In the Womens A – Advanced Singles Event, it was Andrea Wilson (Victoria) adding the Western Title to the National Title she had won this past January. Andrea started with wins over Shantelle Farrell (Calgary) and Katrina D'Haene (Calgary), lost to Candy Durocher (Prince George) in the A Final, but got back on track with wins over Maria Downey (Calgary) in the B Final and a two set win in a very well played Finals over Candy Durocher (Prince George). In the Scotch Doubles Event, it was all Calgary this time as Steve Cherewyk and Tammy Anderson won out over Pete Sky and Cari Swan to take the top cash and the Joss Cues. In the Mens A – Advanced Team Event, last year's winners and former Vegas Masters Champions, the Greene Machine (Calgary) showed once again they know how to get the green. They went undefeated over the Rook Oilers (Fort McMurray), the Bonnet Hill Bastards (Prince George), Easy Balls (Calgary) and the Esquimalt One's (Victoria) before losing to Team Karma (Calgary) in the first set of the Finals. In true Champion form, they regrouped in a hard fought and very close final set for the Title. In the Womens A - Advanced Team Event, after completion of a Round Robin, three Teams were still in the hunt. In very close Matches, Cue As A Button (Prince George) lost to Stick Women (Calgary) who in turn were bested by Wooda, Kooda, Shooda (Calgary) for the Title. 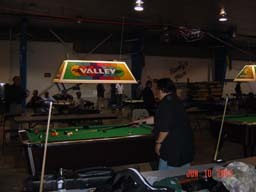 Canadian Cue Sport Productions wishes to thank the Acadia Recreation Centre for hosting us once again, Gary Benson of High Country Promotions for the 40 Valley Tables, Jeff Phythian of Smart Start Billiard School for the ACS certified Referee Crew and Chris Kelly of Dk Tek for the usual on time and flawless Tournament Direction. Having lost the PA System on Day 2, you know a Tourney is well planned and directed when nobody notices and it still proceeds without a hitch. We'd also like to thank Joss Cues (Scotch Doubles Cue Prizes), JB's Pins 'N Things (Official Event Apparel), Q's 4 Less (Juniors Cue Raffle), Jason Lockhardt (Cue Service), Joanne Ashton (Billiard Apparel), Paul Hansen (Billiards Merchandise) and Quality Trophies for all their great support. 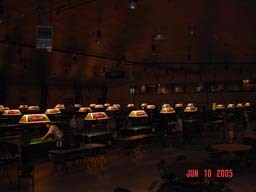 The Juniors Raffle of a $1250 Meucci ME-14 Cue provided by Q's 4 Less was won by Rick Gallant of Calgary. 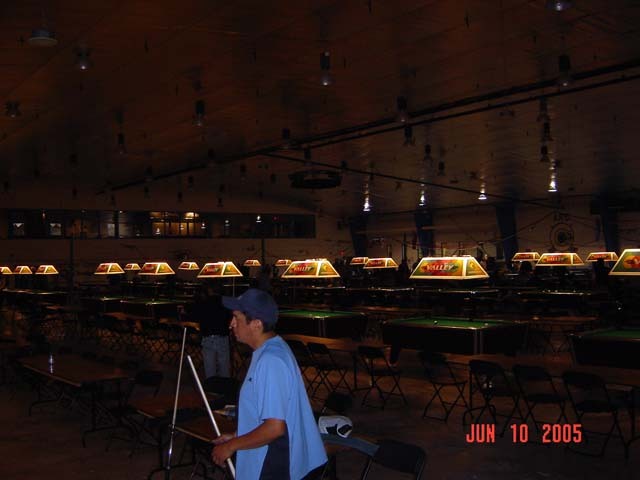 We congratulate all the Singles and Team Champions and wish them the best of luck as, courtesy of the CCS Added paid Trips, they go on to compete in the 11th Annual CCS Canadian National 8 Ball Championships to be held July 12 – 15th, 2006 in Toronto, Ontario. Great news for the CCS Western Leagues! 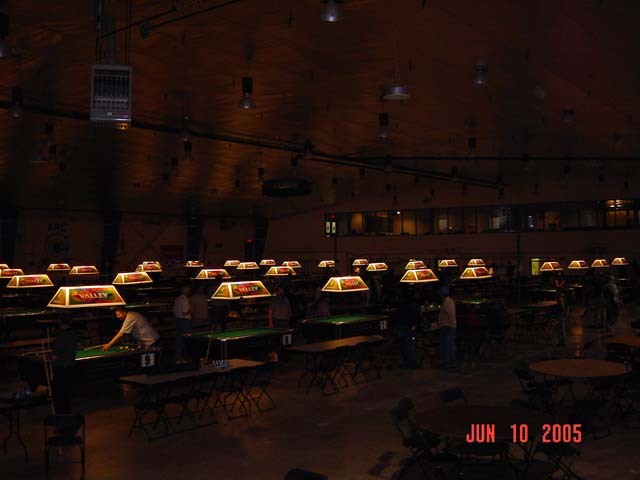 The CCS is extremely pleased to announce the 1st Annual British Columbia 8 Ball Championships to be held January 26 – 29th, 2006 at the brand new, 80 Room Cascade Casino in Langley, BC. 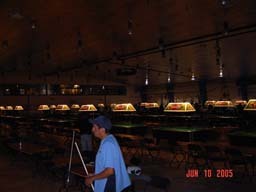 For more information on all five of the CCS Championships in Canada for 2005/06, visit their website at www.cdnqsport.com.